"My Message to Elvis": "If you could change one thing in your life what would it be?" : I believe that his mother was truly his greatest love, I don't think anyone came close to her. : I wish I could go some day. My mum died without ever going and I know that she wouldv'e loved to have gone... maybe one day I will get to go. :: " Words are not enough to tell his story. Colours aren't lovely enough to depict his face. Legend is not sturdy enough to uphold his name. the space his heart has filled. the space his heart has filled"
: I am 29 from a little village in Scotland and I am always amazed at how many young people my age have complete respect for Elvis. He as a man had doubts if his fans would stay with him, but there is true testement to him as a performer and a person that nearlt 40yrs after his death he is still so popular with people. Thank you for your comments on our survey, I loved reading your memories, feelings & suggestion here. Victoria, your poem is truly beautiful! Elvis sang with great passion in his lyrics with so much depth, he is so deeply loved by his fans; he offered all man kind love & respect. His music is timeless! 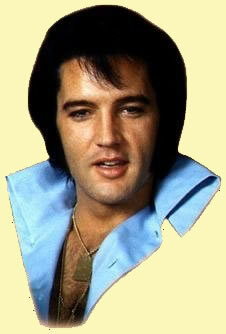 Elvis had style, charm, spunky personality and unbeatable talent he put his heart and soul into his music. Elvis is the King of our hearts, his legend lives on forever! He was one truly wonderful man! And still today a man adored by many loyal loving fans. Victoria, I hope you have the chance to make the trip to Graceland, I believe his home is an amazing place. Victoria, below are the lyrics to your favorite song. Enjoy!